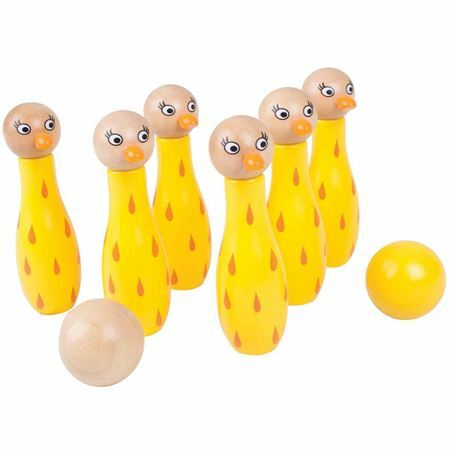 6 bright wooden dotty duck skittles make a striking target. Anyone for a spot of bird watching? 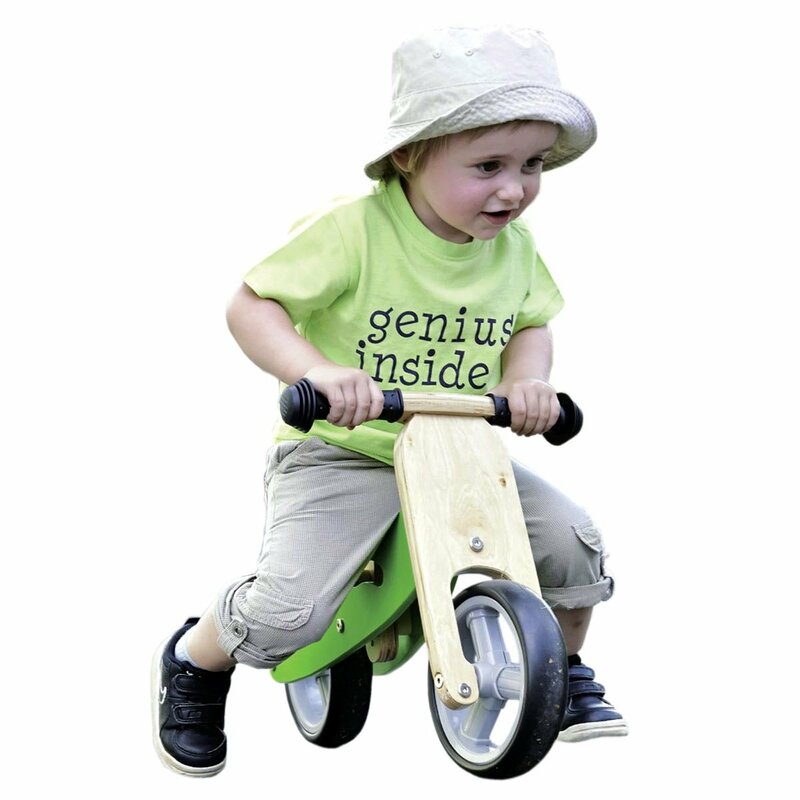 6 bright wooden dotty duck skittles make a striking target. 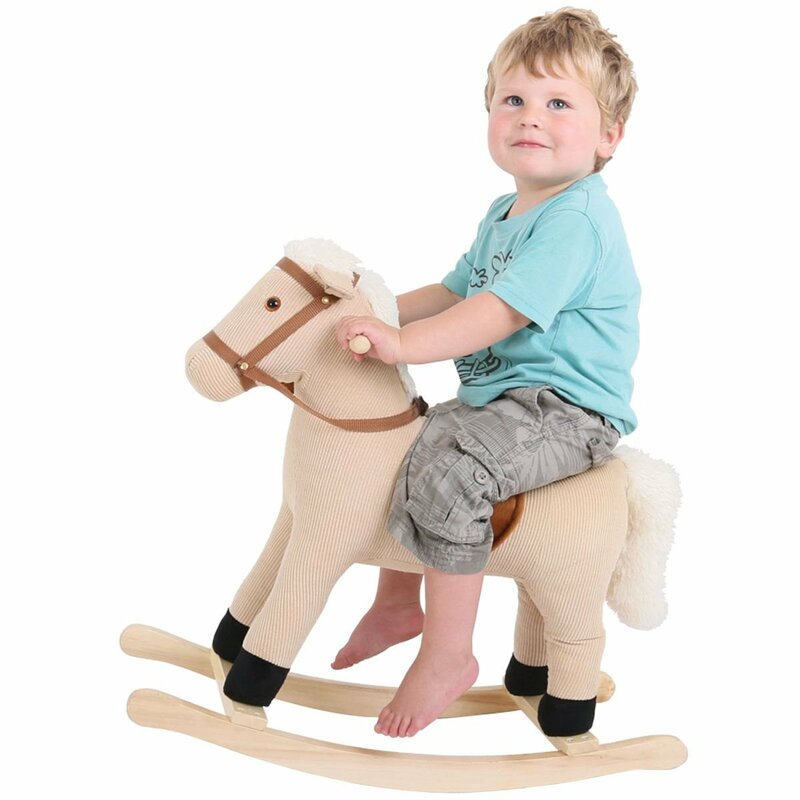 Includes 2 wooden balls for indoor or outdoor fun. 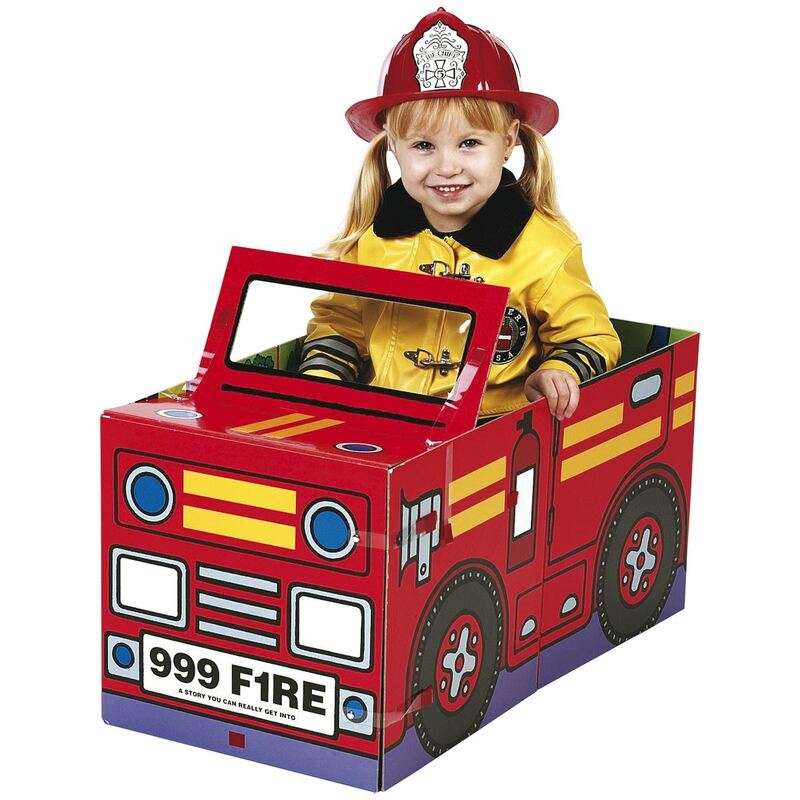 "Out for a duck- oh no that’s a different game!" 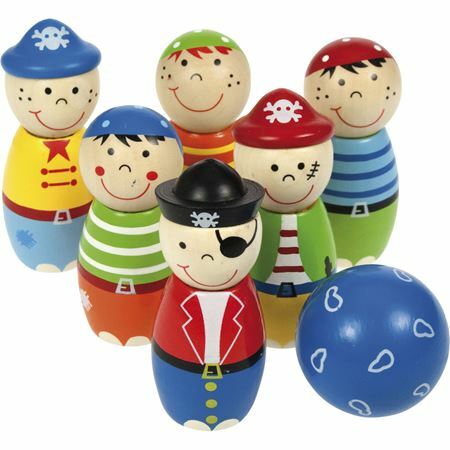 Set of 6 mini wooden Pirate Skittles. 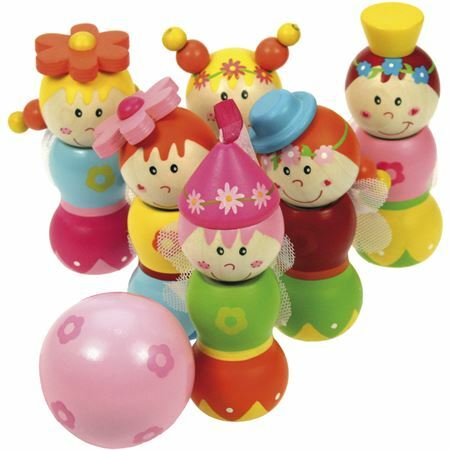 Gorgeous set of 6 wooden fairy skittles, perfect for little hands! A jolly indoor bowling game from Galt with 6 vivid animal skittles and a soft rainbow jingle ball. 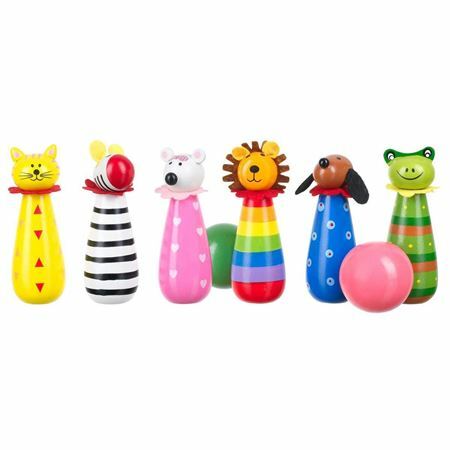 Six wooden animal skittles with cute detailing and bowling ball. 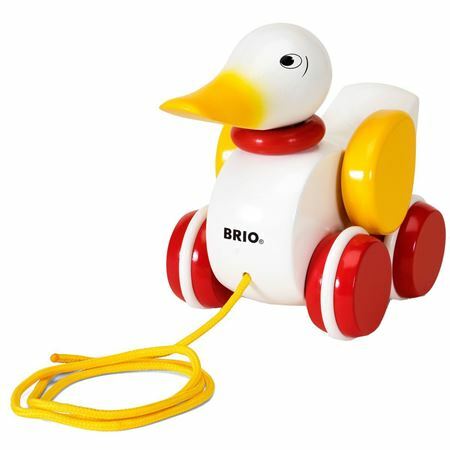 Delightful wooden duck pull along toy, who moves her head from side to side as she waddles along! 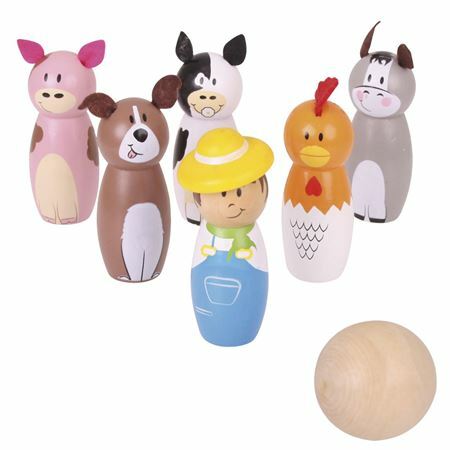 Six beautifully painted, wooden animal skittles with two wooden balls.